There is nothing more magical than gazing at the stars from outside your handcrafted traditional Mongolian yurt, or as daylight dwindles and the night draws in, feeling the warmth of a wood burning stove. Light pollution in the area is minimal and the bright skies above Apple Camping really showcase the constellations on clear nights. 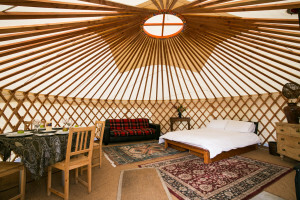 This handcrafted Mongolian Yurt, sleeps four people with its wooden floor and comfy scatter rugs, double bed and futon that doubles as a sofa in the day. It’s fitted with a wood-burning stove to keep you cosy .This yurt has it’s own small kitchen facilities in a purpose built shelter outside area next to the Yurt. You are most welcome to use the barbeque area too. The first nights wood for your wood burning stove is free, and thereafter all the wood you need can be found on site at a reasonable price. This yurt is ideal for a family. 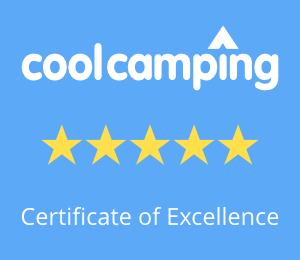 You can book other yurts as well for a group camping experience. Please make sure that you have selected the calendar for the Yurt you’d like to book. 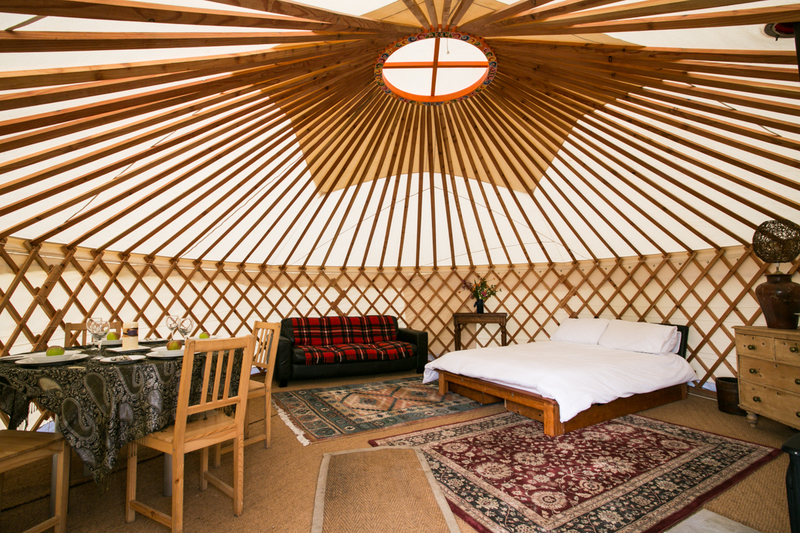 We have three different Yurts available. Orchard Yurt comfortably sleeps four.